Alta Laguna Park on Alta Laguna Blvd now has a pilot pickleball program with two pickleball courts available for play every Sunday through Friday from 10 a.m. – 2 p.m.
Open group pickleball play is encouraged for this social sport. The court will continue to be used for tennis during the other open hours. Call Alexis Braun, Senior Recreation Supervisor at (949) 497-0762 with questions. Last Thursday, the Laguna Beach High School Girls Volleyball team met at Brooks Street Beach, fanned out, and picked up trash littering Laguna’s precious beaches and streets. In two hours, they filled over 20 full size trash bags. What was equally impressive was that so many community members thanked them for their efforts and were very appreciative. The athletes felt the love. Tuesday’s School Board meeting addressed the issue of the LBUSD instructional calendar. ASB student leaders, teachers, and parents voiced differing opinions as to the proposed changes, and many gave emotionally charged presentations. Board member Peggy Wolff addressed the audience, describing having received threatening harassment via emails and texts. At issue is the start date of the school year, plus Thanksgiving and winter break schedules, and non-student days. The proposed change in the school year features a start date before Labor Day and a first semester end date before the winter break. The Calendar Committee’s original recommendation for 2019-2020 included: 180 school days, the week off at Thanksgiving, three district-wide non-student days, one and a half weeks earlier start date (two-plus weeks in subsequent years), finals ending before winter break, and the school year ending earlier in June. These recommendations were subsequently revised to include Board recommendations. The revised calendar includes a start date of August 26, Thanksgiving week the same as the current calendar (Monday and Tuesday are school days), first semester ending at winter break, and two non-student days. Version A – The school start date would be August 24, Thanksgiving week remains the same (Monday and Tuesday are school days), first semester ends at winter break (December 18), there are two non-student days, and the end of school year is on June 10. Version B – The school start date would be August 26, Thanksgiving week remains the same, the end of the first semester is on Tuesday, December 22 (before winter break), there are two non-student days (Jan 4, Mar 12), and the end of the school year is on June 10. The Board reviewed and discussed revisions to the proposed 2020-2021 school calendar, and directed staff to bring back action items for the 2019-2020 and 2020-2021 school calendars at the next regular Board meeting on September 11. Director of Social Emotional Support Dr. Michael Keller presented an update to the board regarding the Social Emotional Support implemented at LBUSD schools during the 2017-2018 school year and ongoing services in 2018-2019. In the 2017-2018 school year, the district established a Social Emotional Support (SES) professional working group that met to design a multi-year social emotional support implementation plan which emphasizes roles and responsibilities for district and site level teams on key initiatives in the areas of prevention and intervention services, professional development, refining the multi-tiered system of support, parent education, and enhancing community partnerships. 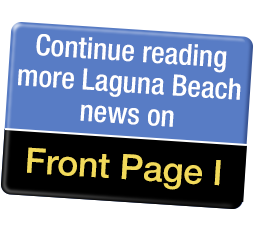 In continuing collaborative work with the Laguna Beach Police Department (LBPD), the board took action to approve a Memorandum of Understanding between the LBPD and the LBUSD for the LBPD to provide a School Resource Officer. The role of the SRO is aligned with the district’s focus on educating the whole child, in addition to the support provided by counselors, student support specialists, psychologists, and other school staff. The goals of the SRO are to reduce incidents of school violence; maintain a safe and secure environment on school grounds; reduce criminal offenses committed by juveniles and young adults; establish a rapport with the student population; and establish rapport with parents, faculty, staff, and administrators. In case you missed it, Laguna represented strongly in medals at the USA Water Polo National Junior Olympics on July 29. It was a clean sweep of gold for the 10 and under, 12 and under, and 14 and under Laguna Beach girls’ teams. Team SET, including many Laguna Beach High School girls, garnered the silver for the 14’s, gold for the 16’s – with MVP going to the goalie Quinn Winter – and it was a bronze for the 18’s. The Laguna Beach Water Polo Foundation club team, the 12 and under, earned top billing for a second year in a row, beating Commerce 9-7 for the gold. Tournament MVP Emerson Hensley is a Thurston student who is passionate about water polo. She led the way for Laguna Beach along with top contributors, returning champions Ava Knepper, Claire Turner, and Nina Rogers, and goalkeepers Siena Jumani and Sofia Umeda.